Who will believe our report? and to whom is the “arm of the Lord” revealed? Who will see what the blind cannot? Who will put their lives where their mouths are? A wonderful passage from the Gospel Of Thomas comes to mind… Jesus said: He who seeks, let him not cease seeking until he finds; and when he finds he will be troubled, and when he is troubled he will be amazed, and he will reign over All. Today I posted a simple sentence. “If we believe we know better we have ruled out the possibility of ever learning more.” This powerful sentence must be acknowledged because if you came to this website, and to this essay believing you already know all there is to know than you will learn nothing at all. 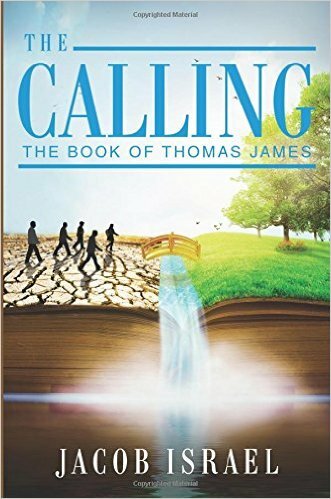 However, if you come here because, as the Gospel of Thomas declares, you are seeking… then you MUST continue to seek if you are ever to find. In addition, a wise man knows there is always more to know. Especially when it comes to the “Lord’s Prayer”. Which happens to be a prayer of great significance I dare say. Considering, it is the ONLY PRAYER Jesus gave as an example of HOW WE ALL SHOULD PRAY (communicate with God, or the great I am, Inspiration, Source, or whatever name you attribute to “THE EXISTING ONE”, which literally is the translation of the word “LORD”. And when you do SEEK after (whatever “IT” is that you hope to find here in this essay) I promise you might just find “IT”… IF, you aren’t “CERTAIN” you already know all there is too know about this prayer. And then IF “Wisdom” permits what you find in this essay may even “trouble” you. Just like that quote from the Gospel of Thomas. “Troubled”, because what you once believed may not be the truth after all, or it may no longer be the truth you need. And when this “FOUND WORD” or “New Revelation” meets your long held belief system there may be a fight. You may either find yourself rejecting outright what I share in these next couple of pages, or you may JUMP RIGHT IN and find that this truth can set you free. Of course any new idea, at first, is troubling. Few like change after all. Regardless of how foolish is to hate such. Considering, LIFE IS CHANGE! CHANGE is ALL LIFE IS. Without CHANGE there is no growth, and without growth, a person no longer TRULY LIVES. For life itself is GROWTH! This is why I hope your spirit is troubled whenever you visit here. Just as it was in the parable of the man trying to get healed in the Bethesda pool. We find HEALING in the TROUBLING OF THE WATERS (doctrines/understanding) indeed. I would like to point out that in the parable it is said, the WATERS are troubled by an “ANGEL”— which really simply means a “MESSENGER”. And who is this messenger that wants to trouble the waters of BETHESDA’S POOL today? — ME 🙂 More over I believe this is a WORD in due SEASON. Let us view this a different way… in a TIME OF CERTAINTY a messenger shared a MESSAGE that TROUBLED the collective belief pool. Ironically, in a TIME OF CERTAINTY a CERTAIN MAN believes he must be helped by another to be healed. This “certain” man who wanted into the pool of troubled waters is very much like those who think they know it all already. They are “certain” of how things are meant to be. No growth there. This man was CERTAIN he needed help from another. The people there were CERTAIN that they needed the literal waters to be stirred up to be healed. EVERYONE was CERTAIN that healing came OUTSIDE OF THEM, and yet… the TRUTH IS from the beginning everyone has the power to PICK UP THEIR MAT AND WALK! This CERTAIN man, believed he needed another to help him. He gave away all of his power. This is why he was called IMPOTENT, because HE, like many today ARE WAITING for a SAVIOR instead of simply SAVING THEMSELVES by following the pattern left before them. Many of you reading this understands what that means. While others still believe that JESUS did all the work. As opposed to seeing that JESUS WAS THE ONLY WAY… meaning, do what he did, know what he knew, and love. This is what a LEADER SAYS… follow me… do as I do… THIS IS THE MESSAGE THAT HAS BEEN MISSED. NEWS FLASH EVERYONE…. Jesus NEVER claimed to HEAL ANYONE! Jesus always stated very clearly…. YOUR FAITH HAS MADE YOU WHOLE! According to YOUR FAITH not Jesus’s actions. And so… just as Jesus asked the impotent CERTAIN man who believed the lie that he had no power at all… I ask you…. WILL YOU BE MADE WHOLE? BECAUSE the TRUTH, I promise WILL set you free. So, if this following exploration of what the Lord’s prayer really means, troubles you, remember soon you will be amazed to find out what it means, and when you do, you will RULE over every aspect of your life. YOU FAITH WILL MAKE YOU WHOLE!!!! Jesus asked the man… WILL YOU BE MADE WHOLE? But Jesus turned him about, and when he saw her, he said, Daughter, be of good comfort; YOUR FAITH HAS MADE YOU WHOLE. And the woman was made whole from that hour. Because FAITH is the Lifeblood of CREATION. And we are CREATORS… Because we are the offspring of a CREATOR. And it is OUR FATHER’S WILL that all be saved from the LIE we are all CERTAIN of… that WE HAVE NO POWER AT ALL. And where is the KINGDOM OF HEAVEN? Which brings me to the crux of this essay. This morning a wonderful new friend of mine here on Facebook named Daniel Skillman (look him up on Facebook) has come into some deep and wonderful insight… THE pool of his collective understanding was troubled as well, and because of it HE became amazed and now is sharing some wonderful thoughts and questions with everyone. This morning he raised the question, “What does… FATHER YOUR WILL BE DONE ON EARTH AS IT IS IN HEAVEN,” mean? The LORD’S PRAYER indeed… I have taught on this subject before however I believed that I should dedicate one paper to this alone. I left my thoughts on his page. The first thing we must look at is where this is all taking place… WITHIN YOU… We are not praying to some far away distant God, you MUST know this by now if you have found this website. We also must recognize it is OUR FATHER — not MY FATHER or YOUR FATHER — The one who created me also created you — and this CREATIVE FORCE of SPIRIT AND TRUTH AND LOVE is within us all. The very next thing we must look at are the words…. Next we MUST really look at “YOUR WILL BE DONE” — the first obvious thing we MUST address is what is GOD’S WILL? It is the FATHER’S WILL that ALL BE SAVED just like the certain man. It is the Father’s will that all be made whole. And GODS WILL is done ON EARTH as it is in HEAVEN. The scripture’s reveal that the EARTH is a symbol of Man’s ways and thoughts while HEAVEN is a symbol of God’s ways and thoughts. So one could say this prayer is about a total unity of HEAVEN and EARTH… God’s will performed by man… with the understanding that we are in the Father and the Father is completely within us… THAT WE ARE ONE! and ONCE we realize this… THAT WE ARE ONE… Then we are made whole. That YOUR WILL BE DONE on EARTH (in the temporal and physical) as it IS in HEAVEN (spiritual and mental) — that THE TWO BECOME ONE! This is GODS WILL…. that can only be done… by understanding…. And with FAITH ALL THINGS ARE POSSIBLE! That should TROUBLE your waters because this is a huge revelation if you have ears to hear it. With FAITH all things are possible… With GOD all things are possible… FAITH makes you whole… GOD makes you whole…. FAITH and GOD seem to do the same thing…. Isn’t that interesting? People today refuse to believe that they are co-creating their life, both the good and the bad… and yet, their EXPERIENCE is a direct result of what they BELIEVE is HAPPENING AT THAT PARTICULAR MOMENT. So, it can be said… that GOD is your FAITH… and FAITH is your GOD… in a manner of speaking. And so the prayer is that WE WOULD FULLY UNDERSTAND that GOD’S WILL is done ON EARTH as it is IN HEAVEN. Meaning… we are either ruled by the GOD of this world (faith in fear, lies, shame, regret, worthlessness, hopelessness, etc) or we are CHILDREN OF THE MOST HIGH GOD (FAITH) — LOVE, AND THE SPIRIT (THOUGHTS) OF TRUTH. This is a major key to the Kingdom people… The fully understanding of the LORDS PRAYER…. one must fully understand WHAT THE WORD “Hallowed” means…. For many, it means a name to be revered… Like Our Father your Name is soooooo very holy…. and this is the way it has been taught. The only prayer there is IS to ACKNOWLEDGE who we are within separate ourselves from who we are not without and to fully understand that YOUR FAITH creates your reality. The WILL of the ONE WHO EXISTS is to UNITE the SPIRIT MAN with the INTELLECTUAL AND SENSUAL MAN — so the TWO BECOME ONE FLESH. The prayer is a reminder that WE HAVE A PART TO PLAY with everything that happens in our life. Because it is GOD’S WILL. Our FAITH will make us whole… WE ARE RULED by our FAITH… We are the projection of our faith into this world. This is why our experience is always whatever we believe it to be. So I pray today the waters have been troubled indeed, and this has led the way to amazing possibility, and you all realize that YOU and the FATHER (EXISTING ONE) are ONE. Previous Article What Is Sin? Hi Jacob!! This prayer is awsome..can be seen from both physical n spiritual side..Gospel of Thomas quote…awsome!!! And u shall rule over the all is very important!! !…only a God can rule over the All..the offspring of a God is??? Lololololol I am a what??? Lololol😄 spiritual side of lords prayer would be our 7 rightious spirits we r the Father of.. praying to us/true self on holy side of mind. Save us from temptation of unrightious 7/ false identity….I love when I get ur writings…u keep ur lamp on a post for all to see not in the closet…a messenger u are!! Ur awsome man! Thank u for all ur doin. Chad, man, that was so nice of you… I really appreciate that my friend. I sure hope to continue to shine as bright as you. Ciao Jacob, come sempre un bellissimo saggio.Speriamo lo leggono in tanti, ma più che altro che ne capiscono il significato,molti saranno liberati da tutte queste religioni. babilonia confusione. Thankyou for this writing enjoying it. Where you wrote when Christ comes Is manifested/revealed within us. Something lately from with in is happening, for me to grab ahold of. The WORD was made flesh, it was the Word manifested through Yahshua The Messiah/The Anointed, as he is so are we. What is manifesting through us is The Word made flesh, In the beginning was the Word, the Word was with God and was God. And we are the Letter, having been written in our hearts you are a letter of the messiah/The anointed, written not with Ink but by the Spirit of the Living One true God, not on tablets of stone but on fleshly tablets of the heart.” So here we are the letter written by the Spirit. So what is manifesting /coming through these bodies is the Word made flesh. Which is God, which God is the total of Himself. Luke 8:43-47 The woman with the blood issue, Yahshua The Messiah said to her, Daughter, your Faith has healed you, Go in peace.” The Word made Flesh/The One true God, called her Daughter. Yahshua means Yahweh is salvation, The Messiah means The anointed. So The Christ/ The Messiah, means The anointed One, the Latin took the, “The” out and made it one name which is error. 2Cor 1:21 Aramaic bible, “But it is God who establishes us together with you in The Messiah (The Anointed), he who has anointed us.” Acts !0:38 Aramic bible, “About Yeshua who was from Nazareth, whom God anointed with the Spirit of Holiness and with power…because God was with him.” Anointed with the Spirit of Holiness and with Power, manifesting through Yahshua to this earth realm is the Word made flesh. In the beginning was the Word….The Word was with God and the Word is God. As he is so are we. John1:14 And the Word became flesh and dwelt among us and we saw His Glory, glory as of the only begotten from the Father, full of grace and Truth.” The Word in me the Hope of Glory. Father/Glory revealed through us. The Christ/The messiah means The anointed, its not a name of a single person. It is The Word that is coming through and we have been anointed like Yahshua.